This is a Twilight saga cast trivia article about the actors Peter Facinelli, Elizabeth Reaser, Kellan Lutz, Ashley Greene, Nikki Reed, Jackson Rathbone who play The Cullens. 1. 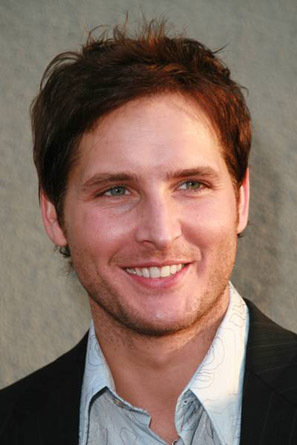 Peter Facinelli plays Carlisle Cullen, the town doctor and the father. Peter was born in 1973, which makes him only 13 years older than Robert Pattinson, who plays his son Edward. 2. The fact that Carlisle doesn’t look old enough to be the father is in the book as well. 3. Peter Facinelli is American, a New Yorker. 4. He stands at 6' (1.83 m). 5. He is married to Jennie Garth. They have been a married couple since 2001 and they have 3 children- all daughters. You might remember Jennie Garth from the 90s popular TV series Beverly Hills 90210 (1990-2000) where she played Kelly. 6. The pair met in 1996, filming the TV drama An Unfinished Affair. Garth plays Sheila, a student who has an affair with her college professor. 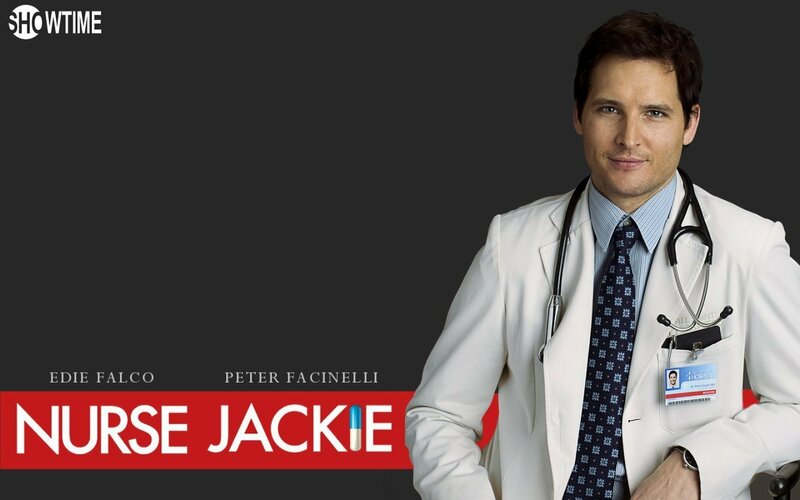 When he goes back to his wife, Sheilas decides to seduce his son Rick, who is played by Facinelli. 7. This is not the only love triangle Peter has been a part of in a movie. In 2001’s thriller Tempted, he starred alongside Burt Reynolds and Saffron Burrows. Peter plays Jimmy Mulate. Reynolds and Burrows play a married couple where the guy is really wealthy and older. The husband hires Jimmy so that he can see whether his wife will be loyal to him. But of course deals like this never go according to plan.Saffron co-starred with another Twilight saga cast member - Saffron also played in My Own Worst enemy, co-starring Taylor Lautner. 9. He appeared in the TV show Six Feet Under for 9 episodes. 10. He starred in the action/thriller TV show Fastlane in 2002. 11. His Fastlane co-star Tiffani Thiessen co-starred with his wife Jennie Garth in Beverly Hills 90210, where Tiffani played Valerie. 12. He has a Twitter account. 13. As the surname suggests, he is Italian-American. 1. Elizabeth Reaser plays Esme Cullen, Carlisle’s wife. 2. She was born in 1975, in Michigan. Taylor Lautner, who plays Jacob Black (werewolf/love rival/natural nemesis to her and her son Edward Cullen), was also born in Michigan. 3. She is best known for her guest appearance in Grey’s Anatomy, where she played Ava for 17 episodes. Her character was severely injured, had amnesia and formed an intense connection with doctor Alex Karev (Justin Chambers). Her role brought an Emmy nomination for Outstanding Guest Actress in a Drama Series. 4. She has been appearing on the screen since 2000. 1. Jackson plays Jasper Cullen, one of Edward’s vampire “brothers”. He is involved with Alice, another one of Carlisle’s vampire “children”. Jasper has the power of manipulate people’s emotions. 2. He doesn’t have that many lines in Twilight and New Moon. However his character’s action in New Moon triggers the most important event. 3. In Eclipse, he trains both the werewolves and vampires against the newborn vampire army. 4. Jackson was born in 1984, in Singapore. 6. He stands at 5' 9½" (1.77 m). 7. He is good friends with his Twilight co-stars Ashley Greene (who plays his girlfriend Alice), Nikki Reed and Kellan Lutz (who play his other “adopted” vampire siblings. 8. He went to Art Academy. 9. He has emphasized that he doesn’t have an account on any social media platform, including MySpace, Facebook and Twitter. 10. He can play guitar and harmonica. 11. His favorite actors include Christopher Walken, Robert Downey Jr. and River Phoenix. 12. He appeared on the small screen with Twilight co-stars Nikki Reed (Rosalie Cullen) and Cam Gigandet (he plays James/one of the evil vampires/Victoria’s partner) on an episode of O.C, in 2006. However, they didn’t share scenes together. 13. He has been appearing on the screen since 2004. 1. She plays Alice, Jasper’s girlfriend. Her character has the ability to sense decisions and read into the future. 2. She was born in 1987. 3. She loves Audrey Hepburn. 4. In addition to Jackson Rathbone, Nikki Reed and Kellan Lutz, she is also close friends with actess Rachelle Lefevre, who played Victoria in Twilight and New Moon. 5. She stands at 5' 5" (1.65 m). Her height prevented her from becoming a model. 1. Nikki Reed plays Rosalie. Her character is involved with Emmett Cullen (Kellan Lutz). 2. She is the only Cullen to openly express a disdain for Bella. She is also the only one who objects to the idea of Bella turning into a vampire- as she expresses “this is not the life I’d have chosen for myself”. 3. Rosalie’s background is revealed in the third film of The Twilight Saga, Eclipse. 4. Nikki Reed was born in 1988, in California. 5. She played in 6 episodes of O.C, and in one of them Jackson Rathbone and Cam Gigandet also have a part. That episode is called The Heavy Lifting and it is the 15th episode of season 3. The show aired for 4 seasons. 6. She stands at 5' 4½" (1.64 m). 7. One of her most critically acclaimed films is Thirteen, her first movie role. She co-starred with Evan Rachel Wood. They are close friends. Her other co-star is academy award winner Holly Hunter, who plays Evan’s mother. 8. Thirteen’s director is Catherine Hardwicke, who also directed the first movie, Twilight. 9. Thirteen is rated at 7.0 on IMDB. The movie is co-written by Nikki and the director. 1. Kellan was born in 1985. 2. He is friends with Robert Pattinson. 3. He stands at 6' 1" (1.85 m). 4. He would audition for the role of Edward Cullen, which later went to Robert Pattinson. However Lutz had other filming obligations. 5. He lives in California. 6. He considers the Twilight cast as a family. 7. He has 7 siblings. 8. He has appeared in some of the episodes of the new version of Beverly Hills 90210, called 90210. His co-star Peter Facinelli’s wife starred in the original version. Oh no! you mean to tell me they are not really Vampires!! I'm reading the trilogy. I love Twilight! Thanks, it took some time but I had a lot of fun. I realize I have favored Peter a bit, but he is the guy I have known the most (way before twilight). he is one of the reasons I like the saga so much. I also love his wife Jennie Garth- right in the middle of Hollywood, a beautiful couple with a great family:)) Adorable. Wonderful article, Pinar. Great pictures of Jackson Rathbone, Ashley Greene and Peter Facinelli.